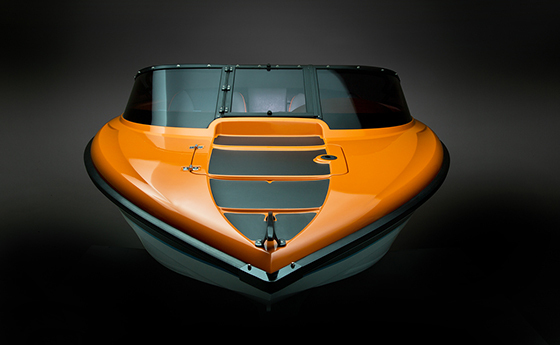 Forget what you think you know about jet boat design and performance, the HamiltonJet 470 takes a bold new approach, with its focus on YOU! 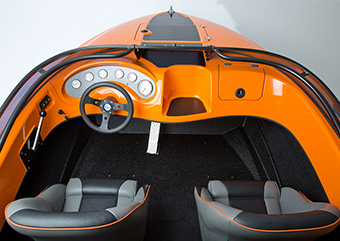 We’ve taken your feedback and comments from many years jet boating on our unique NZ rivers and lakes, and from this we’ve reworked every aspect of our boat design philosophy to create something guaranteed to set you apart from the crowd. Everything about the HamiltonJet 470 is intended to provide you and your family with the ultimate jet boating experience. Comfort, safety and performance are included without compromise, packaged in a sleek, stylish and innovative hull design that not only turns heads now but will also stand the test of time. The HamilotnJet 470 is just the first in a new series of high-performance recreational jet boats you’ve helped design to be the best on the water. We don’t imitate... we evolve! 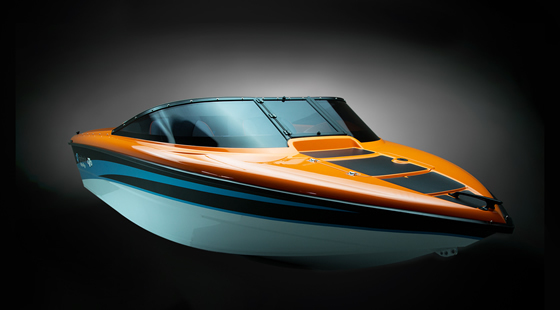 The HamiltonJet 470 is the next design evolution of one of New Zealand’s most popular and proven recreational jet boat models, the HamiltonJet 151. Taking the base 151 hull, HamiltonJet has increased the strength of the delta keel and hull bottom, and reconfigured the hull strakes to improve lift and cornering performance. The result is a stronger boat that tracks smoothly and turns tightly and consistently in all conditions. Hull bottom: 5mm reinforced aluminium double plate each side of stem bar. 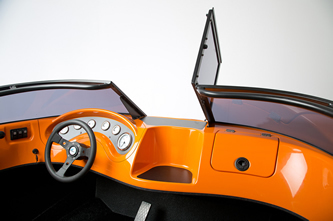 The moulded fibreglass deck (a HamiltonJet tradition) allows for the 470’s fluid curves and the seamless integration of hatches and insets from bow, through the dash and cockpit to the transom. Along with large fore and aft deck hatches, the 470 incorporates a dashboard glovebox on the passenger side, as well as an optional insert for the engine gauges, allowing customised gauge layout and easier access for maintenance. Click here to view the brochure about this boat.